There's no place in the world like the charm and haunt of southern Appalachia. 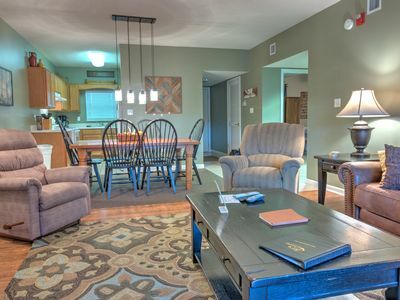 Our cozy cottage is tucked away in the heart of the Clinch Mountains but offers all the amenities of home with its modern rustic interiors. 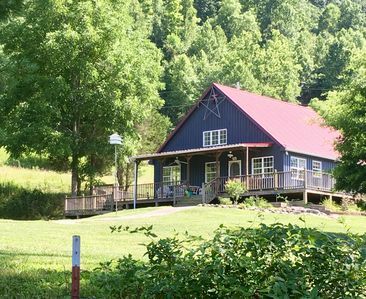 Nestled beneath a 2,000 foot ridge and overlooking a fresh water spring fed two-acre pond, it's the perfect getaway from the hustle of normal life. 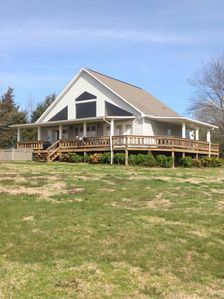 The cottage will sleep six comfortably, has a wrap around porch, updated interiors, and is a unique remote getaway. It would be the perfect getaway for writers or fly fisherman or a romantic secluded getaway for an anniversary, as well as a great family vacation spot. There are two bedroom and a bathroom downstairs and a loft and full bath upstairs with a full kitchen, washer and dryer, and central heat and air. 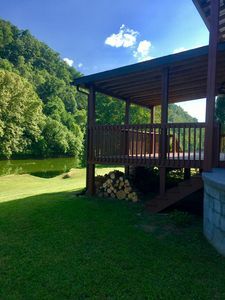 RIVER SUNRISE Cabin located in the TN mountains and right on the Clinch River!